Small eats, and a lot of them, are the big thing in Taiwan. The culinary (烹飪的) philosophy here is eat often and eat well. It's a culinary love-in with diversely delicious offspring. 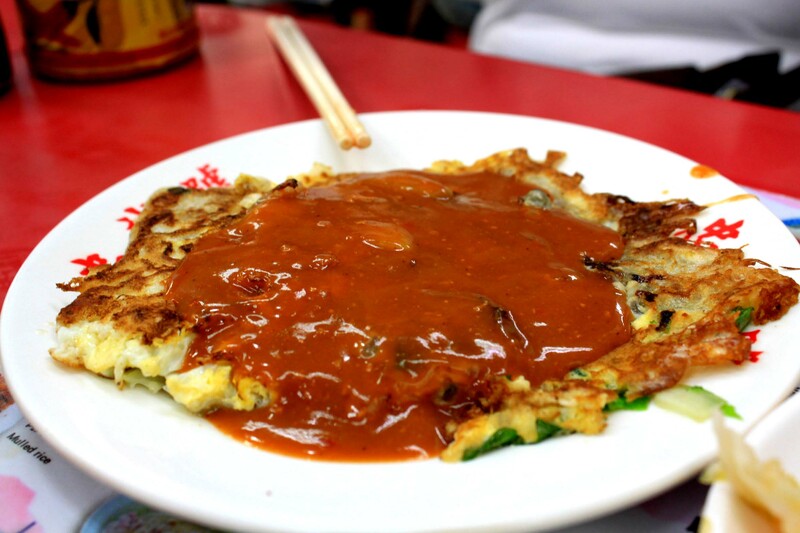 The popularity of this humble (不起眼的) dish cannot be overstated. A good bowl of lurou fan comprises finely chopped, not quite minced, pork belly (五花肉), slow-cooked in aromatic soy sauce (醬油) with five spices. There should be an ample amount of fattiness, in which lies the magic. The meat is spooned over hot rice. A little sweet, a little salty, braised pork rice is comfort food perfected. Beef noodle soup inspires competitiveness and innovation in chefs. Everyone wants to claim the title of beef noodle king. It's almost impossible to have a bad beef noodle experience in Taiwan. Here's a snack that really showcases the fat of the land in Taiwan. You've got something from the sea and something from the soil. The eggs are the perfect foil for the little oysters easily found around the island, while sweet potato starch (番薯粉) is added to give the whole thing a gooey (黏稠的) chewiness (口感) -- a signature Taiwan food texture. Bubble tea represents the "QQ" food texture that Taiwanese love. The phrase refers to something that is especially chewy (有嚼勁的), like the tapioca balls forming the "bubbles" in bubble tea. How popular is milkfish in Taiwan? So popular that it has its own themed museum in Anping (安平) and there's a milkfish cultural festival in Kaohsiung. The bony fish (硬骨魚) might pose a challenge for amateurs, but it’s loved for its tender meat (肉質細嫩) and economical price tag (價格實惠). Milkfish is prepared in numerous ways - in a congee porridge (粥), pan-fried (煎), as fish ball soup or braised (紅燒). 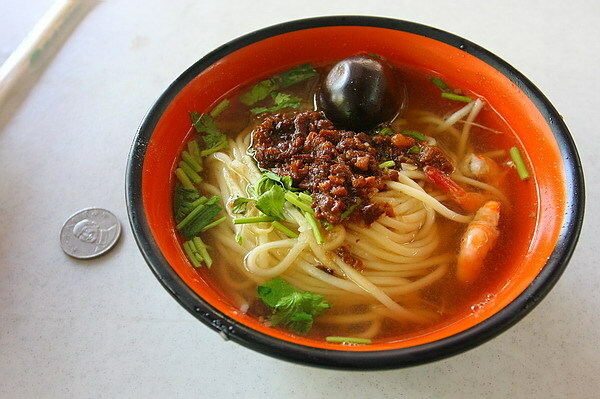 The bowl of Danzai noodles is served in shrimp soup with bean sprouts (豆芽菜), coriander (香菜), minced pork and fresh shrimps. The bowl of comforting flavors is so addictive. Like the fluffiness (蓬鬆) of cake and the crunchiness (酥脆) of potato chips? The pan-fried bun gives you the best of both worlds. The buns are made with spongy white Chinese bread that is pan-fried on the bottom. Break one open to reveal the moist (多汁的) porky filling. It's a hamburger, Taiwan-style. A steamed (蒸) bun sandwiches a hearty (營養豐富的) filling of braised pork belly, pickled Chinese cabbage (酸菜) and powdered peanuts (花生粉). The filling is chopped into small pieces and mixed together so there's a bit of everything in every bite. 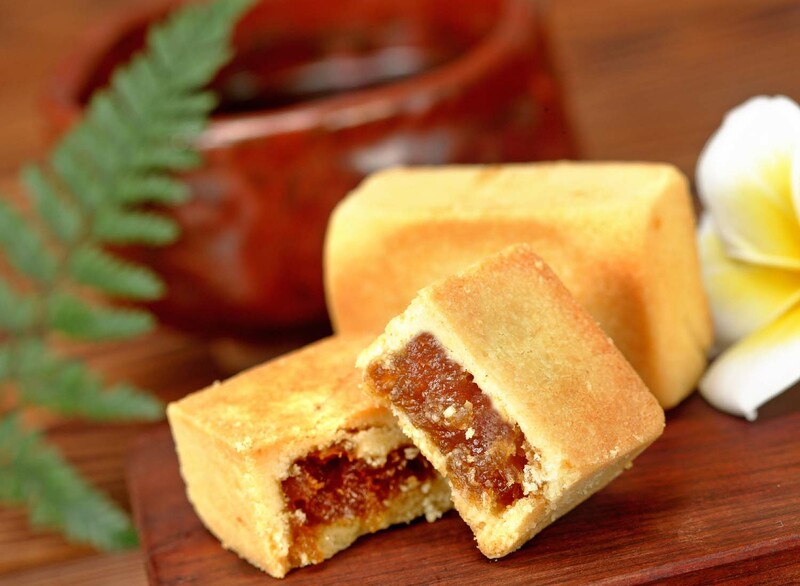 Take a big mouthful and enjoy the salty, sour and sweet flavors and the greasy (油膩的) pork swimming in your mouth. It's called "iron egg" because it's so tough. These chewy eggs dyed black from long-braising in soy sauce are a highly addictive Taiwanese food. This iconic (具指標性的) Taiwanese pastry (糕點) - mini-pies filled with candied (糖漬的) pineapple -- is one of Taiwan's best food souvenirs (伴手禮).